Arnold Alois Schwarzenegger (German IPA: [ˌaɐnɔlt aloʏs ˈʃvaɐtsənɛgɐ]; born July 30, 1947) is an Austrian-born American bodybuilder, Golden Globe-winning actor, businessman and politician currently serving as the 38th Governor of the U.S. state of California. As a young man, Schwarzenegger gained widespread attention as a highly successful bodybuilder. He later gained worldwide fame as a Hollywood action film icon. 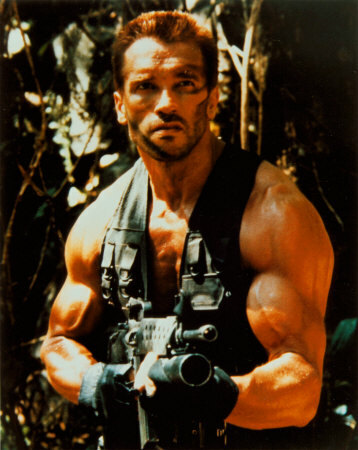 Schwarzenegger was nicknamed "The Austrian Oak" and "The Strian Oak" in his bodybuilding days, "Arnold Strong" and "Arnie" during his acting career, and more recently "The Governator" (a portmanteau of Governor and Terminator, referring to his internationally-popular film role). Schwarzenegger is married to Maria Shriver. He is a Republican who was first elected on October 7, 2003, in a special recall election to replace then-Governor Gray Davis. Schwarzenegger was sworn in on November 17, 2003, to serve the remainder of Davis' term. Schwarzenegger was then reelected on November 7, 2006, in California's 2006 gubernatorial election, to serve a full term as governor, defeating Democrat Phil Angelides, who was California State Treasurer at the time. Schwarzenegger was sworn in for a second term on January 5, 2007. In May 2004 and 2007, he was named as one of the Time 100 people who help shape the world.